Halloween is finally here! Parents will be walking door to door with their kids collecting tons of candy. As the night goes on and the Trick or Treaters get home, parents will find themselves wondering what they will do with the 3 lbs of candy each child just collected. Here are a few things to keep in mind before making that decision. Remove all of the chewy candies. Allowing your child to consume Taffy, gummies, or any slow dissolving candy will give your child a higher risk of cavities. Chewy slow dissolving candy can get stuck in hard to brush spots in your child’s mouth. Not to mention, if your child wears braces they will be at risk of damaging them. Allow your children to eat as much candy as they can in one sitting before you get rid of the extra candy. I know what you’re thinking. Why would I let my kids get wired on sugar before bed? It is better for your children’s teeth in the long run. Most households will take the candy from tonight and pour it in a large bowl to leave out for the holidays. The truth is, your child consuming as much candy as they’d like in one hour will do less damage than allowing them to eat three pieces a day for the next two and a half months. Tonight is the night that we want to make sure our kids brush and floss really well. According to Colgate, children 8 and under should have their teeth brushed at least twice a day by a parent. 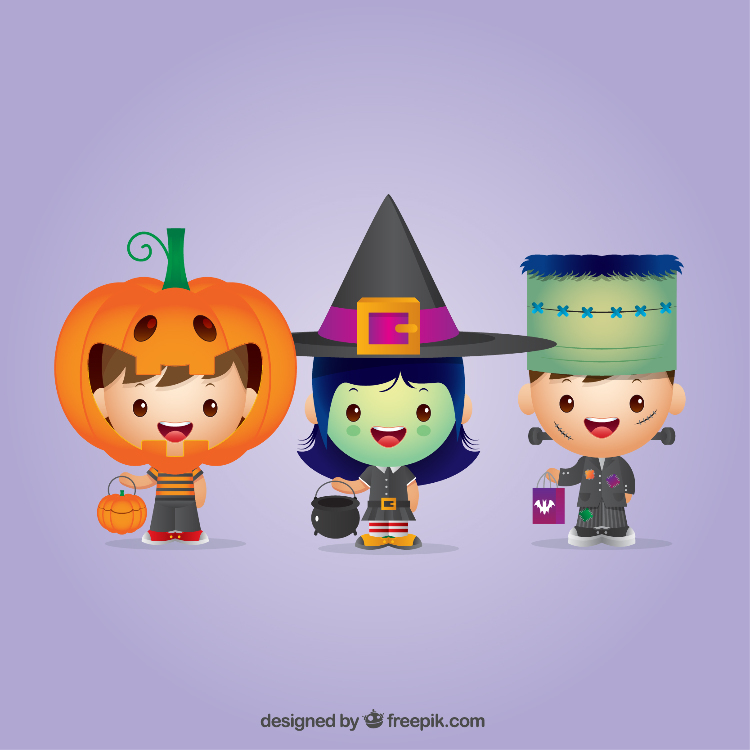 We hope you and your family have a wonderful time Trick or Treating! Happy Halloween and be Safe!